Be it Loot Boxes in Overwatch, War Chests in Shadow of War, or Requisition Packs in Halo 5, there is no doubt that loot boxes have turned out to be a very successful business model for game companies, and given that gamers have embraced this gambling mechanic exciting new way to get the items they want (along with a bunch of other stuff they probably don’t) in exchange for their hard-earned money, one thing is for sure: loot boxes are here to stay. As such, game publishers have finally decided to augment the experience you get from their games, starting from the moment you decide to step into your local game store to buy the game. Instead of just paying for the game you want, now you can feel the excitement of buying an actual physical loot box! You might get the game you want! Or maybe not! You may find something amazing! Or maybe not! You’re just another loot box away to find that out! 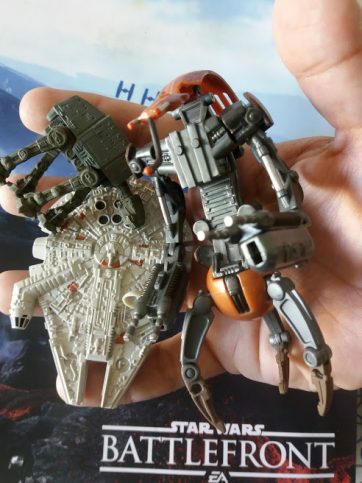 Star Wars Battlefront II is the first one to embrace this new model. 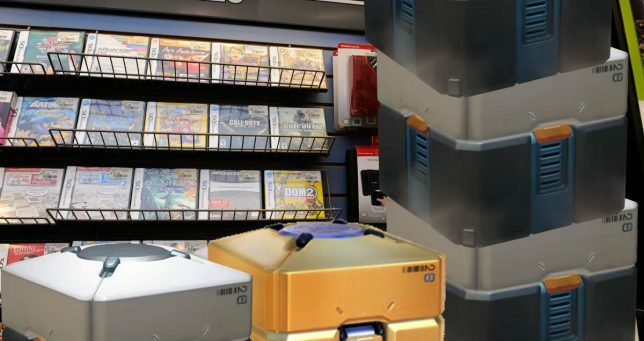 It is reported that the physical loot boxes will be sold in selected game stores instead of the actual game—the boxes range from the $20 Bronze Box to the $200 Limited Platinum Collector’s Edition box. We would not recommend that you buy the $20 (Bronze) box, as they seem to contain a bunch of stickers and nothing much else. Also, word is that even if you happen to get the game from one of the more expensive boxes, it’s not guaranteed that you’ll get it for the console/platform of your choice. Have you ever imagined getting a videogame asset in real life? Well, this is it! It may not be the asset you would have wanted, but that’s the whole point of loot boxes, isn’t it?! seems like something theyd do….. I can’t wait until Steam adopts this, Loot Boxes are the best way to receive the content you desire!